I feel this thread has veered off track with quite a few of the comments that have been posted. The title of this thread tells us this is one way to put it. Of course there are other ways to describe movies like A CHRISTMAS CAROL. We're here to share our views on classic films, and not everyone will have the same view. We shouldn't be deriding others who see a holiday film as having noir elements. And certainly we can be liberal enough to allow multiple, wider perspectives on the definition of noir. Sorry to sound so annoyed but yeah, this thread has becoming annoying in my opinion. Did my eyes really just see --what I thought they saw--actually quoted above? How can every story involving murder be considered 'noir'? The fine tradition of mystery storytelling goes back--I believe--all the way to late 16th c. mainland China. The fine tradition of detective storytelling goes back at least as far as the 1820s --that is, where England, France, and America are concerned. This is all hundreds of years before anyone ever coined the term 'film noir'. That's not exactly peanuts. The origins of these renowned genres pre-date 'noir' with heavy pairs of giant, hob-nailed boots. Anyway I'm sure its a disservice --to bruise the fervor and loyalty of generations of mystery and detective fans--were we to inform them that they are now being all rudely lumped under one bushel labeled 'film noir'. And to be clear, I am mostly using the phrase 'elements of noir' because I don't think there is any such thing as pure noir or pure blanc. In a world of absolute values maybe, but film is not quite absolute in my opinion. So we can certainly apply hybrid terms like neo-noir, historical noir, western noir, children's noir, comic noir, whatever-- anytime there's a murder in the story, an argument can be made that it contains elements of noir. The mystery might come from confusion surrounding the motivation behind a murderous act, but the subtext under the surface is noir and that becomes more explicit and apparent when the mystery is "solved." If the case is solved wrong, then the subtext is not fully transparent and the story gets darker, more noir-ish. So we can put mystery fiction in a place that is separate from noir if you like, but my idea is that some element of noir is always occurring simultaneously until the mystery is fully solved. The fact that the murderous character is a child doesn't negate the noir elements/components. Disagree with me if you want. I'm old and can take it. And I stick by everything I said in that post. As there has never been a universally-recognized determination of what exactly constitutes a "film noir" (dark film), there have been many "necessary" ingredients offered by would-be definers. I would suggest that everyone trust themselves on what they feel. If it strikes you as film noir, it's film noir. If it strikes you as "noirish", that's fine too. Some will see your point and accept, others won't (and the most tiresome will insist on arguing about it ad infinitum - avoid those, they'll just shorten your life). but no wicked female: not a film noir. But that's just me. Everyone else - and I mean everyone - decides individually, to their sensibility, if it's noir or not. Don't you want to strangle Margaret O'Brien's character to death every time you watch Meet Me in St. Louis? We're sorry we're not letting you control the narrative. I'd like to know how Sepiatone became an "Enhanced Member." Is this a physiological thing? It's not that, it's more like it's getting off track from the OPs original intent. I think Top Billed original intent was to say murder = dark subject matter. I don't think anybody would disagree with that. A few of you got quite zealous in your derision, sort of piling on with quite ridiculous statements. Anybody dropping into the middle of the thread would get a wrong impression, especially with all the ridiculous titles thrown out. A film about murder, robbery, addiction, etc., etc.,without the noir stylistics is just a Crime Film. Add enough of the stylistics and noir-ish story elements and I see it as a Noir. For instance a film that is on a lot of peoples Noir list is The Big Steal reuniting Mitchum and Greer it has about a minute of noir-ish cinematography at it's very end and I don't consider it a Film Noir. To me it's just a Crime Film. 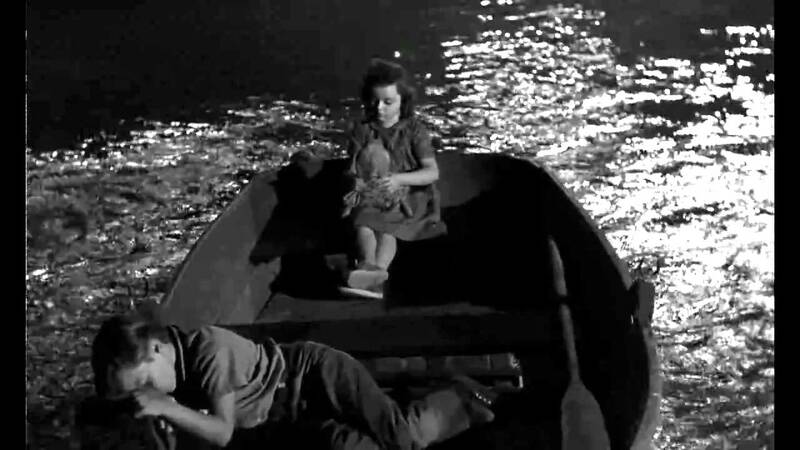 Even It's A Wonderful Like has the very Noir-ish Potterville sequence, but I don't call it a Noir for its inclusion. I see Noir as a style of visually depicting alienation, claustrophobia, obsession, the darker aspects of the human condition and events spinning out of control. If a film has enough of these elements it can tip into Noir. I like to say they "tune" Noir. Not all films are going to tune the same for everyone. It's all going to depend on the particular circumstances of your particular life's experiences whether or not a film "tunes" noir. A film dealing with murder is of course dark subject matter but will be just a meer Crime Film unless it has enough stylistical Noir visuals to tune Noir. There is a film that takes place just before the Civil War about an attempted assassination of Abraham Lincoln, it all takes place on a train journey from New York to Washington. It's called The Tall Target and it's a period Noir for all the visual stylistics. Another is House By The River. In my own exploration of Noir I'm realizing that it may have to do with something akin to imprinting. Between Classic Noir and Neo Noir there was this Transitional Noir period. I became aware of of what we are calling Noir in that Transitional period. I didn't know what it was but I liked it when I saw it. I grew up in the 1950s. I went to movies (mostly Westerns and SiFi) but I also watched a lot of TV. The local NYC broadcast stations had a lot of Hollywood films but they also showed these Noir-ish anthology series Alfred Hitchcock Presents, Twilight Zone, The Outer Limits, which used the noir stylistics and twists. There were also Peter Gunn, Johnny Staccato, Mike Hammer, and others that were quite noir-ish. It can be a result from indulging in herbs. One should seek medical attention if it causes one to watch movies for more than four hours. Whattaya mean "we", Keemo Saubee? One should seek medical attention if it causes one to watch movies for more than four hours. His eyeballs won't go down? I don't know if you're alluding to the post I wrote here about The Bad Seed, Arteesto, but in case you are, I'd like to clarify something. I never said a film like The Bad Seed could not be regarded as "having noirish elements". What I said was, there is no such thing as "children's noir", it's a ridiculous concept. Someone had suggested that this film, along with The Innocents, could be lumped into a category called "children's noir". And I said, just because a film has a story that features a child, doesn't mean it's a children's movie. Also: I'd like to make clear that I have no problem with children's stories and movies having sad, bad, or scary elements to them. In fact, a truly good children's book or film does have such aspects to it. But actually, this is a whole different topic which I don't want to get into here. Many seem to like applying noirish labels to a wide variety of films and undoubtedly have to Charles Laughton's sole directorial effort, as well. I have long thought of this difficult film to define (not neatly falling into any one genre box) as simply being a dark fairy tale. What I said was, there is no such thing as "children's noir", it's a ridiculous concept. Definitely not disagreeing with that. I think you're absolutely right. And it's the reason why I mentioned it earlier in the thread as an example of children's noir. She's a child who commits murder. The ending of the film, different from the ending of the play, was due to the production code. Dark fairy tale would probably be another label. I also like Margaret O'Brien in Meet Me in St. Louis--not so much because of the cute kid factor, but because she's so morbid! In contrast to the more saccharine elements of the story (like the high school/college kids singing a rousing rendition of "Skip to My Lou"), O'Brien's fascination with the macabre is a hilarious juxtaposition. There are a handful of juvenile performances that don't get on my nerves, and O'Brien in Meet Me in St. Louis is one of them. The discussion has definitely gotten off track from the OP's original intent. That's quite evident. What the OP was saying was that he/she came across an interpretation saying A CHRISTMAS CAROL could be classified as a noir. And the OP saw it as one way of looking at the film and classifying it. Certainly nothing wrong with that. The OP seemed to agree, or else this thread probably wouldn't have been created. As for my comment, I did not say murder = dark subject matter. What I was saying is that dark subject matter = murder in noir. Typically films about heists or rapes or other criminal activity are not considered noir. They become dark and are classified noir because someone has been killed or was the target of an unsuccessful killer. A noir without murder is like rain without water. I wouldn't even consider either of those movies as noir. 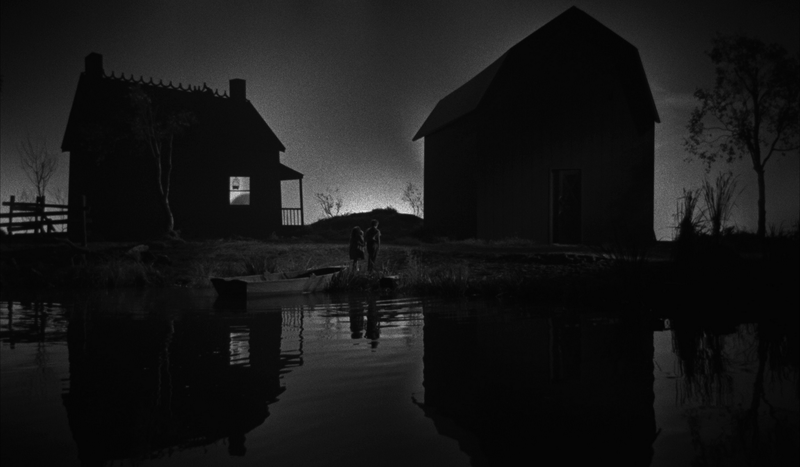 I classify HOUSE BY THE RIVER (1950) as gothic noir. It's also a legal noir because the courtroom sequence is pivotal with regards to the outcome, whether a murderer will evade justice. It's truly one of Fritz Lang's best films. Certainly one of the best films that Republic Pictures ever made. MOONRISE (1948), also from Republic and directed by Frank Borzage, is another gothic noir. A noir without murder is like bread without yeast or rain without water. It's just nothing. But remember The Lost Weekend was considered as one of the Film Noir in one of the two 1946 articles that mentioned the American Films that showed up in France after WWII. There is no murder or death in it. Neither is there any in In A Lonely Place, Pickup or Sweet Smell Of Success. There are probably a few others.